Leading East Midlands Insurance Broker, Cowens, has further strengthened its long-term sponsorship of Nottingham’s Royal Concert Hall with the grand opening of its new suite. 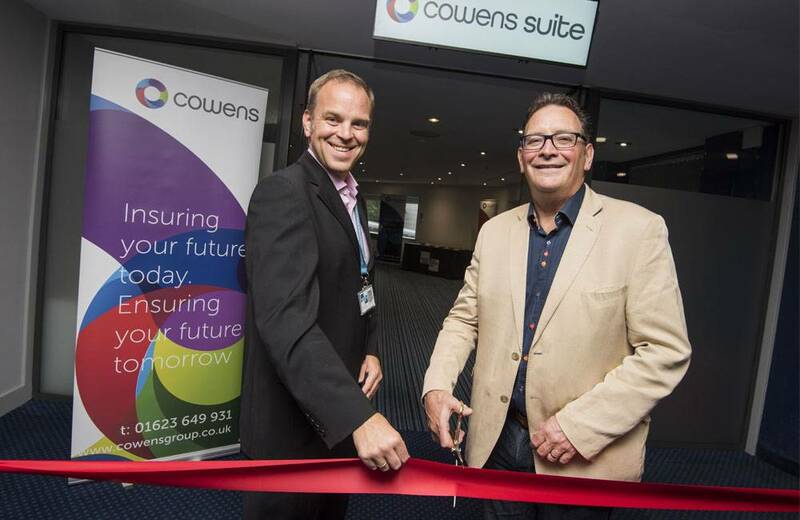 ‘The Cowens Suite’ was officially opened by the company’s Managing Director, Paul Chaplin, at a glittering launch event for employees and insurance underwriters on Wednesday 19 September. Cowens has been a Royal Partner of the renowned venue for the past three years, using both the Theatre Royal and the Royal Concert Hall to regularly entertain peers and clients. The launch event was an ideal opportunity to celebrate this long-standing relationship and gave guests a chance to explore the newly refurbished Nottingham city centre venue, which underwent a £3.3m renovation throughout 2017 and the start of 2018. Jonathan Saville, Interim Venue Director for the Theatre Royal & Royal Concert Hall, said: “Since Cowens came on board as a Royal Partner in 2015, our excellent working relationship with them has grown from strength to strength. They are now a Principal Partner of ours and we are delighted to jointly unveil the re-branded Cowens Suite with them today.